If a business is not visible online, does it even exist? Local citation sources help increase the business’ local online visibility, and therefore reach a broader audience. Did you know that over 30% of clicks go to the top search result? 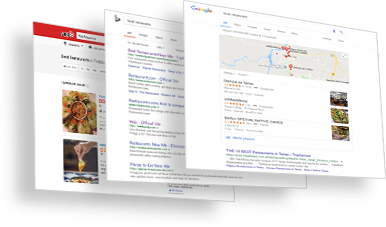 Local citation sources will help local businesses rank higher in organic local search results. At Advice Local, we take care of everything for you. We seamlessly help local businesses get found online with real-time submissions to a combination of national, local and niche business directories in our Data Amplifier Network. Our network includes data aggregators, data accelerators like Apple Maps, Google, Yelp and Facebook, data enhancers like Chamber of Commerce, Judy’s Book and Superpages, GPS accelerators and a variety of vertical directories. We use a hybrid approach to local listing management. This means that we use a combination of APIs and manual submissions to claim, create and optimize business listings. As data partners with many of the directories in our Data Amplifier Network, submitting and modifying citations and listings is simple, fast and in real time. A Real-Time Data Syndication Engine powers our technology. We offer a white-labeled solution for our agency partners. 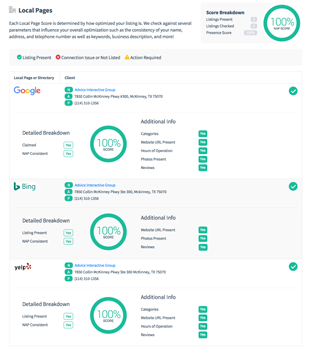 With our solution, our partners can easily integrate a white-labeled version of our data scanning widgets to their website, which comes with a white-labeled landing page. We submit to the most important search engine listings, including Yelp, Bing Places and Google My Business. Our services include creating, claiming and ongoing optimization of local business listings. We make sure that the business’ NAP (name, address and phone number), hours of operation, photos, categories and other details are always accurate. We take local businesses to the future of local SEO: voice search. 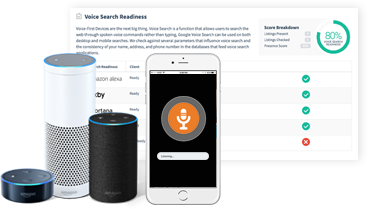 Through our Data Amplifier Network, we make sure businesses are voice search-ready by distributing their information to data sources that submit to Siri, Alexa, Cortana, Bixby and the Google Assistant. 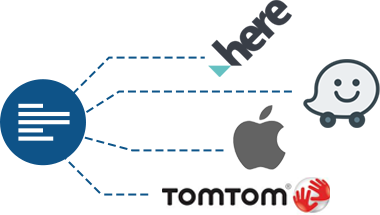 We distribute local business’ information to the most important mapping apps, including Apple, Here, Waze and TomTom. This allows businesses to get found online through a GPS map. No listing management package is complete without the top four players. We submit your client’s information to the four major data aggregators: Infogroup, Acxiom, Localeze and Factual. Thanks to this, your client’s data will be distributed to a multitude of local search directories. Our technology gets the job done every time. We’re constantly managing the listings to make sure your local business customers are found online. 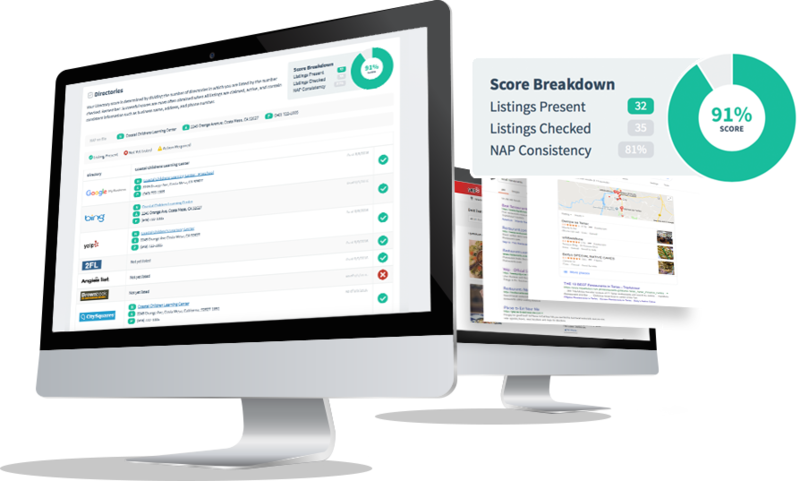 We want business listings to not only exist, but also be accurate and fully optimized. There’s no doubt that our local citation and listing management services are professional, customer-friendly and top notch, but what our partners love the most about Advice Local is the versatility of our services. 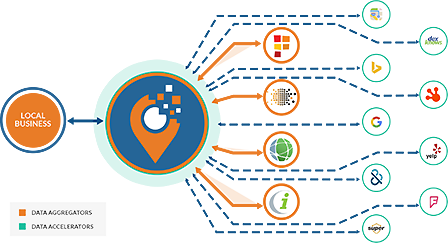 We offer a comprehensive package with specific add-ons for local marketers and agency partners that manage multiple locations or businesses. 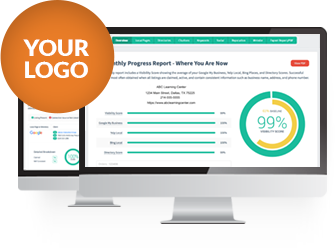 As a local marketer or agency partner you will get unlimited baseline scans, a website widget and a landing page for lead generation, plus sales reporting. Our white-labeled dashboard includes features such as user level access, progress reports, monthly report automation and rollup reporting. Our deluxe real-time data syndication services include Google My Business, Bing and submissions to Yelp and Facebook. We offer a variety of services that you can add to a business’ package, including claiming profiles on Google My Business and Yelp, and creating profiles on Facebook.